A resident once described the Shining Sea Bikeway as a linear park. 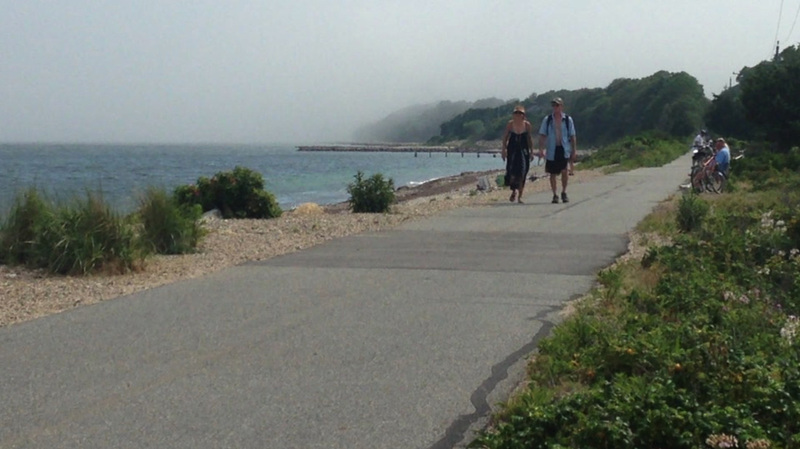 This wonderful pathway from North Falmouth to Woods Hole is used by residents and visitors of all ages throughout the year. The bike path follows the line of the former Penn Central Railroad, which discontinued service between Falmouth and Woods Hole in 1957. Named in honor of Katharine Lee Bates, author of America the Beautiful (“...from sea to shining sea...”), who spent her childhood in Falmouth, the bike path was opened in 1976. The first portion of the bikeway ran from Locust Street in Falmouth to the ferry terminal in Woods Hole, a distance of 3.1 miles. Twenty-two years later (1998), the bikeway was extended from Locust Street to Skating Lane, where the Steamship Authority has an off-site parking lot, and a couple of years later it was extended to Carlson Lane in Sippewissett. Cycling proponents successfully petitioned town meeting to seek a lease with the state of the railroad right of way to North Falmouth. After extensive debate on whether the path should run on the railroad bed or alongside it, the state signed the lease. Federal funds were appropriated for the project, and work began in 2007 to extend the bike path another seven miles. The extension was completed and opened to the public in summer 2009. 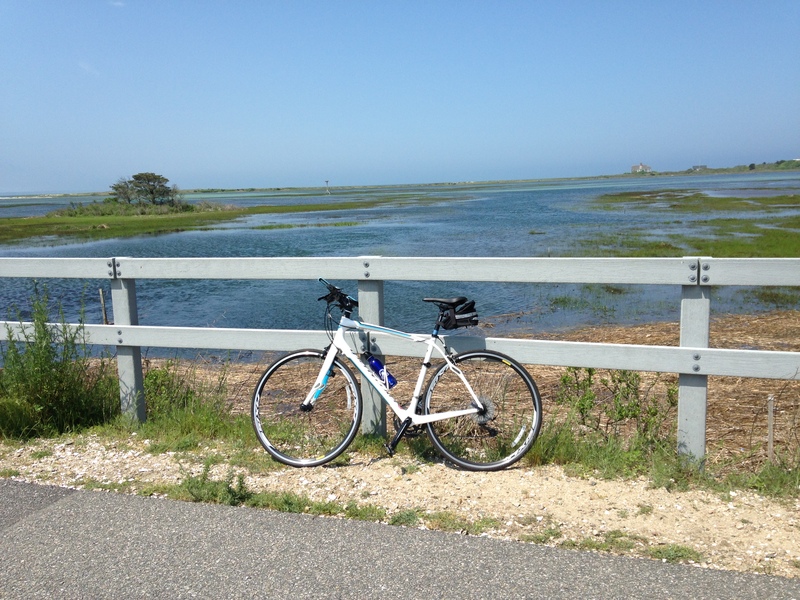 The Shining Sea Bikeway, now 10.7 miles in length, is the only bike path on Cape Cod that runs along the shore, providing many sweeping views of Vineyard Sound. Following ancient Wampanoag trails, the bikeway takes the visitor alongside woodlands, marshes and ponds. 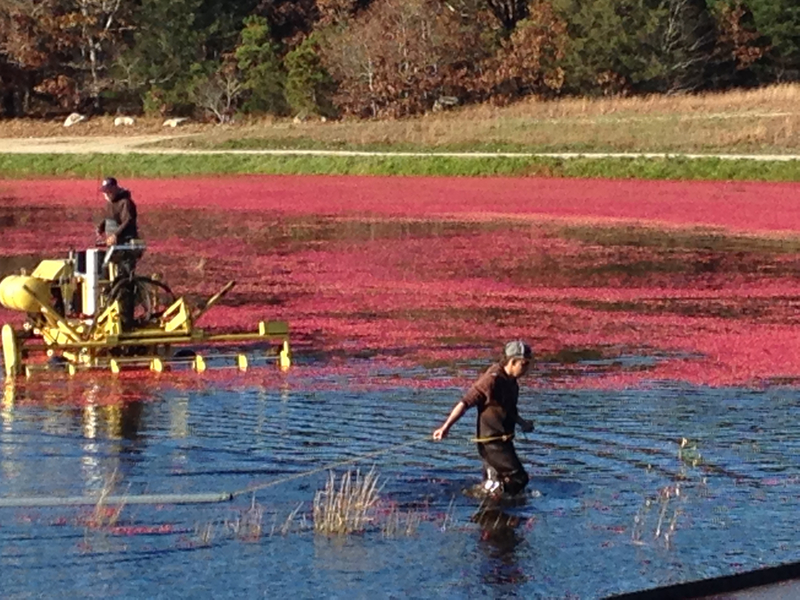 The northern extension runs through woods, cranberry bogs and alongside the Great Sippewissett Marsh with extensive views of Buzzards Bay to the west. The bike path connects to numerous conservation lands in North and West Falmouth, to Goodwill Park and Long Pond/Falmouth Town Forest across Palmer Avenue, Beebe Woods and the bus station at Depot Avenue, and the Steamship Authority in Woods Hole. It is a short distance from Main Street, Falmouth and provides good access to the village of Woods Hole, where parking and traffic congestion, especially in the summer months, make biking and walking the preferred modes of transportation. Parking is available at Locust Street across from Mill Road, and at Trunk River, an unmarked dirt driveway off Oyster Pond Road just beyond Surf Drive. Both of these lots fill up quickly in the summer, especially on weekends. Ample parking is also available in the town lot at the end of Depot Avenue, across from the bus station. There is limited meter parking in Woods Hole off Railroad Avenue. A portable toilet is available at the Locust Street parking lot in the summer season, as is a water fountain. Benches, picnic tables and bike racks are also distributed along the bikeway. The path is relatively flat and an easy trip for all ages.